Soil, Health, Food Quality to Food Security and Future of the Planet Earth! Hippocrates, the father of medicine, said ?Let food be your medicine?? But have you ever wondered why foods in the markets these days seem to be poisons rather than medicines? Let?s try answering this question: What is the fundamental cause of disease? a) Pollution in the environment. b) Too much fatty and sugary junk foods. c) Toxic residues in canned food, plastic containers and food ingredients. d) An unhealthy lifestyle and stressful work life. e) GMO foods and toxic residues associated with agricultural chemicals in foods. f) Diminished nutrients in agricultural soils. Most likely not many readers would have picked the last choice as the correct answer. But it is actually the correct answer. The rest of the choices are valid, but mineral malnourishment is now a major health problem. Nutrient-related issues are certainly important and toxic residues associated with chemicals are also a secondary cause of health problems, to which we should pay more attention. However, the key issue begins with diminished nutrients and minerals in the soil. It is crucial to know, really know, that the existence of healthy and fertile agricultural soil is the essential factor of good health in human beings. We are dying prematurely of chronic and/or degenerative diseases, such as cancer, coronary artery diseases, arthritis, diabetes, hormone disruption, and asthma. In Thailand, a recent study by Chiangmai Public Health Office1 revealed that 89% of a consumer sample group had accumulated toxic chemical residues in their blood to ?at risk? and ?unsafe? levels that could result in chronic degenerative diseases. Interestingly, this number is 14% higher than the 75% found in the farmer group who had direct contact with toxic agricultural chemicals. Ironically, it?s becoming common knowledge among Thais that Thai farmers do not eat vegetables they grow for sale, but have a separate chemical-free garden for their own consumption. A formal senior officer of the Ministry of Public Health (MoPH) disclosed that the number of cancer patients in Thailand has increased 100-fold over the past 60 years.2 Cancer has been the #1 cause of death in Thailand throughout the last decade and is still so today. MoPH?s 2010 statistics indicate that an average of 6.4 people die of cancer every hour (56,058 people per year) and 274 more are diagnosed with cancer every day.3 Similar statistics can be found in many countries around the world. Interestingly, food quality and diet are six (6) of the ten (10) leading causes of death in the past decade.4 It is said that good quality foods and good surrounding environmental conditions can reduce up to 40% of cancer, and 80% of coronary heart disease and diabetes. We are often reminded to eat more fruits and vegetables and to reduce our consumption of meat, sugar and fatty food for a better heath. However, the quality of fruits and vegetables we are consuming these days, and the environment in which they are grown, is changing. The level of quality and nutrients in the produce we consume depends on various factors, including the conditions of the soil, water, temperature, storage and time from harvest to shelves until they reach the hands of consumers. Studies show that the quality of nutrients in foods we consume around the world these days is declining by a level of 15-75% compared to 50 years ago.5 This does not include hydroponic products which have even fewer and limited mineral contents, especially those trace elements that are essential to proper functioning of all the cells in our body. Why? The answer is simple. It is all about business. 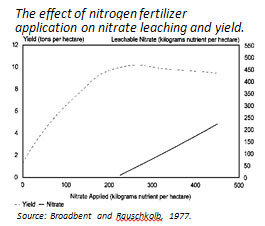 Business bottom-line targets have moved crop production toward mass production, high-yield, and shortened growing time by increased use of high nitrogen compound fertilizers, pesticides, and herbicides under many unnatural controlled conditions. An increased rate of growth for crops leaves lesser time for crops to naturally accumulate nutrients. Furthermore, pesticides and herbicides destroy crops’ nutritional value and are harmful to the body. Farmers today are increasingly dependent on agricultural chemicals and have turned their backs on traditional biological-based farming practices. Large amounts of refined synthetic fertilizers, pesticides and herbicides as well as hybrid and genetically modified (GM) seeds are widely used to increase yields and bottom-line profits. By using this method, soil is ruined and there is a lack of microbial activities. Soil becomes compacted and consequently good nutrients are stripped out. More importantly, synthetic fertilizers provide only certain nutrients and lack several essential ones such as copper, selenium, lithium and vanadium. Meanwhile, crops are unhealthy and prone to disease. The immediate solution is to use pesticides and herbicides introduced by the same company that sells chemical fertilizers. In some cases, bugs become resistant to pesticides and farmers then use heavier doses, sometimes far beyond safety levels, leaving harmful residues for consumers. Thanks to powerful chemical giant companies that go around the world to promote ?modern farming methods,? during the past 50 years or so we have managed to reverse millions of years of soil formation. The majority of farmland around the world is degrading, lacks soil biological activities and is deficient in key minerals and nutrients. Compacted soil also lacks capacity to hold water and store carbon, which is another contributor to global warming. Today, runaway agriculture chemicals can be found everywhere on earth, even in the middle of the Antarctic! Organic farmers have long claimed that plants grown with organic methods can improve the nutrient conditions, and we believe the claim has certain validity. However, currently no standard exists to help consumers verify the density nutrients, or lack thereof, in fruits and vegetables. ?Certified organic? is about the farming process, not the quality of produce. Moreover, organic certified products are being restricted from using any nutritional claim for marketing purpose. However, not all is lost. The good news is that there is now an easy method to monitor plant health and nutrient density–by measuring the sugar level in the plant sap or ?Brix ? a system developed by a German scientist, Adolf Brix. There is a growing new movement, particularly in North America, whereby future smart consumers will be able to find out the nutritional quality of a given item by carrying a small simple hand-held device into the super market and check out the sugar level of produce. It is important to note that every living cell has ?energy? 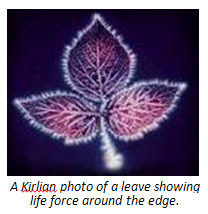 or ?life force? called ?chi? in Chinese. It is energy that determines the degree of health or disease. In plants, if the soil is chemically drenched and lacks micro-organisms to digest and feed the plants, the plants will lack necessary nutrients. Plants, animals and people need over 100 different minerals or at least 60-80 nutrients for maximum efficiency, not the conventional 17 minerals believed to be required or the three minerals N-P-K usually advertises in chemical fertilizer blends. Traditional Chinese medicine doctors will tell that it is ?chi? that determines your health. After we consume produce with no nutrients, plus toxic pesticide residuals, we get sick and are prone to many kinds of diseases. Many soil scientists and modern medical doctors would advocate that at the molecular level all mineral colloids, no matter if they are organic or synthesized, are simply chemicals. 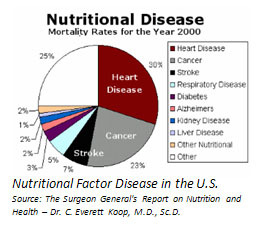 But food nutrition for human beings may not be the focus of agricultural scientists and the modern medical community. 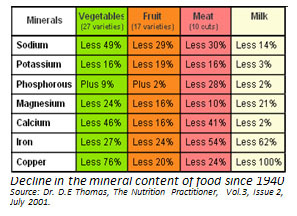 The simple fact is that plant-derived minerals have up to 98% bioavailability,7 whereas metallic minerals have a bioavailability ranging only from 8 to 12%. This high mineral bioavailability of soil-cultivated plants is the main secret to health and longevity, rather than pharmaceutical drugs, expensive vitamin minerals and nutritional supplements. 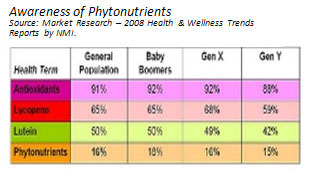 This is why natural grown foods which contain the mineral diversity found only in healthy soil are the best medicine. We just simply cannot bypass the soil. ?Growing the soil so the soil will grow the plants,? is an old saying among the older generation Thai farmers that has almost been forgotten. When we harvest crops off a field, we are basically ?mining? minerals from the soil. If we do not replenish all of the minerals that have been removed, in some form, at least to a level where everything that we want in our bodies is in our crops, we are certainly destroying not only our own future, but the future of humankind as well as all lives on earth and eventually the planet Earth itself!!! Earth is the only planet in the solar system, if not the universe, that has a breathing skin: soil. But soil has become a forgotten resource. It seems that we have forgotten that soil is alive. There are over 6 billion micro-organisms in a teaspoon of soil (the entire human population is currently estimated at 6.9 billion). There certainly exist crucial interconnections of soil fertility, food quality, human health and health of the planet Earth. Humans have survived on only 15 cm. of fertile topsoil, the source of oxygen and food for all life on earth. But we have already lost one-third of that topsoil in the last 100 years (nature takes an average of 300 years to make 1 cm of topsoil!). Today, we are losing our topsoil even more rapidly as a result of water and wind erosion, an outcome of modern agricultural practices. 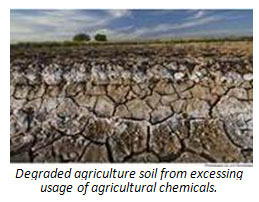 Unfortunately, the current hasty depletion of valuable topsoil by conventional mechanized farming practices has forced farmers around the world to increase usage of chemical fertilizers and stronger toxic pesticides in order to maintain their yields. It is a vicious cycle indeed. Moreover, each day we are adding around 213,000 more people to the world population.9 As such, over the next two decades the world?s population is expected to grow by an average of more than 100 million people a year. This will surely add even more pressure to the already intensely utilized land and fresh water. The growth population may be less important than the extravagant consumption behaviour and life style of the increasing middle-class population on Earth. A long-term perspective is essential to meet these future challenges of depleting cultivated areas, depleted soil and freshwater, as well as an increasing population and consumption behavior. The conventional industrial agricultural models and ways of thinking of the twentieth century will not serve us well in addressing our twenty-first century challenges. Despite impressive economic growth rates, are we paying enough attention to the quality of the food being produced and that we eat? Is it time for us to take seriously the deficiency of essential nutrients in most of the remaining arable land? Should we accept and understand the indisputable fact that soil health is a major factor in human health, as well as the health of our planet? On the supply side, to ensure food security for present and future generations, while protecting the fundamental natural resource base, we urgently need to rethink about the future of farming and the way we grow our foods. We need more effective and sustainable farming methods that can provide consumers with higher nutrition foods, and better tasting crops that are free of chemical toxins to keep us healthy. At the same time, such methods should also able to provide farmers with higher yields, lower production costs, and better quality of life, while nurturing the environment. Sounds impossible, doesn?t it? But there is just the technology that can meet these challenges?the all-in-one 21st century farming technology solution called Bio-Energetic Agriculture! Bio-Energetic Agriculture is a holistic and creative approach ?beyond organic? and sustainable –economically, environmentally, and socially — farming and gardening system synthesized by NawaChiOne Learning Center for Sufficiency Economy of NawaChiOne Foundation, Thailand. It is a modern, scientifically proven, farming method that focuses vastly on minimizing the pollution of air, soil and water, and optimizing the health of soil, plants, animals, people and the environment. The key to this method emphasizes reinforcing nature?s biologically and physically dynamic energies in the farming process, creating optimum conditions to best support nature?s processes in healing and nurturing the soil. 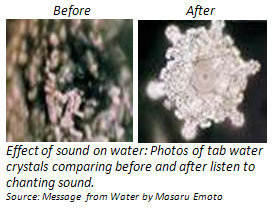 This method is enhanced by an emerging evolution in utilizing non-visible beneficial energies or ?chi? in nature to promote the life force that energizes the health of soil and growth of plants. 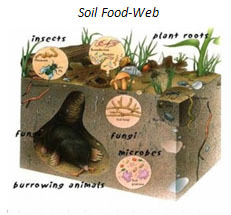 Under a comprehensive farm management system, Bio-Energetic Agriculture aims to provide an accommodating soil ecosystem to maintain a balanced, stable, and functional soil food-web; beneficial micro-organisms and communities of lives in the soil can therefore flourish to manage and maintain soil fertility to best feed the plants. It combines supporting effective natural energies — such as the gravity force of the Earth, the Moon, and the Sun; and the life energizing force of positive electromagnetic frequencies including colours (light), sound, high gauss magnet and vortex water — to stimulate life force of soil organisms and plants. Healthy fertile soils not only have a higher water storage capacity, but also release fewer greenhouse gases and capture more carbon from the atmosphere, as well as provide healthier plants. Hence, the system can give us carbon-negative foods. This method is a giant step toward the foundation for a sustainable food system of the future. Bio-Energetic Agriculture is not totally new. It is an integration of several biologically-intensive traditional farming systems rooted in the history of humankind, traceable back to thousands of years ago in Ethiopia, China, Japan Korea, Greece, France, and the Amazon, enhanced by the rediscovery of scientific principles underlining each of these effective practices. It is also a combination of best practices of several Eastern and Western natural and organic farming methods, including permaculture, bio-intensive, bio-dynamic, regenerative organic farming, Japanese, Korean and French natural farming, Nutrient-Dense biological agriculture, and indigenous technologies — such as the use of vermiculture, bio-char and wood vinegar — and HM. King Bhumibol Adulyadej?s ?new theory? on agriculture system, as well as successful innovative farming systems and techniques by a handful of local Thai farmer-sages, i.e., wanakaset (agro-forestry), kaset-praneet (dexterous agriculture), and integrative farming. By synergizing the scientific proven healing and revitalizing non-visible energies in nature, this method can give intensified profound results. When combining these proven best practices and enhanced by the methodical farm management system of Bio-Energetic Agriculture, this farming practice can produce mineral-rich nutritious food crops that are better tasting and toxin-free, in a closed system, and generate a sufficient level of income with low-input and high-yield, using a small area and less water, producing a great diversity of crops to ensure food security and biodiversity which enriches a natural pest control system and open pollination, suitable to small farmers and adaptable to all environmental conditions. With the fertile nutrient-rich soil and biological farming system, pests and weeds are greatly reduced without the use of any pesticides and herbicides. Because this farming process requires a more rigorous discipline than organic farming, and we can also easily verify the nutritional quality of the produce and track food from farm to market to assure quality, we can now go ?beyond organic.? Mahatma Ghandi once said, ?To forget to dig the soil is to forget oneself.? The most promising aspect of Bio-Energetic Agriculture is that anyone can easily apply this farming principle to grow their own food in their own small backyard garden, even on the balcony or roof top of their city home!! In addition, we would also help reduce greenhouse gases and increase oxygen to the surrounding environment. The growing middle-class population will account for 60% of the world’s population in 2020. With more information and better understanding of nutrition and the value of good food, the demand for better quality foods will become more prominent. The supply chain system of higher quality food will be shorter. More consumers will be willing to pay more for better quality. Consumption behaviour will change such that consumers will become more conscientious and less wasteful. People will eat more conscientiously — eating higher quality (nutrient-rich) food which is also grown sustainably ? thus becoming healthy and green. Sustainability is something we all have a stake in. We are part of a large interconnected system that is already experiencing the negative effects of our unsustainable behaviours in all sorts of ways. Our shared environment is something that can be dramatically improved when we work together towards sustainability. It is encouraging to see an increasing awareness among consumers and farmers that things are not as they should be. However, the majority of the population does not realize the link between human health, soil health, and environmental health. We need to advocate for these interconnections for the survival of all life on Planet Earth. Growers need to learn the biological methods and materials of 21st century agriculture, and understand the community of the soil food-web. Consumers need to be educated about the link between real food, real nutrition, and real health. Good, fresh food, grown locally by committed growers, is the very best to be found. ?Organic certification? is generally only necessary when food is grown by strangers in faraway places, rather than by neighbours you know or even by yourself. Demand for quality high-nutrient food by consumers will help change growers? farming practices from chemicals to a biological and ecological paradigm. Consumers need to be provided with more accurate and up-to-date information about their foods, and not only labelling. They are a part of this process. Let’s eat wisely. Freedom and responsibility are two sides of the same coin. We have been given the freedom to live on this amazing planet. But comes with it is the responsibility not to act mindlessly. Our human species is failing this responsibility. Now, as individuals, it is our duty to change our behaviour and that of our nation as best we can. Alex Jack Editor, 2011 Nutrient Guide, Planetary Health/Amberwaves, MA, USA. Arden Andersen, D.O., Ph.D., Let Food Be Your Medicine: Why Full Nutrition Is Better than Drugs – Interview, ACRES USA. _______________, The Root of Good Nutrition: Restore Real Nutrition to Our Food, Organic Connections, July-August 2008. Brian Halweil, Still No Free Lunch: Nutrient levels in U.S. food supply eroded by pursuit of high yields, The Organic Center, September 2007. Charles Benbrook, Xin Zhao, Jaime Y?n?ez, Neal Davies and Preston Andrews, New Evidence Confirms the Nutritional Superiority of Plant-Based Organic Foods, The Organic Center, March 2008. David Yarrow, Nutrient-Dense, Carbon-Negative: the future of eating is a secret of soil, Part I and II, October 2009, Carbon-Negative Network Northeast, USA. Grain, ?Earth Matters: Tracking Climate Crisis from the Group Up,? Seeding, October 2009. John Jeavons, How to Grow More Vegetables, Ecology Action, USA., 2002. Maynard Murray, Ph.D., Trace Elements in Nature?s Balance, ACRES USA, Vol.33, No.1, January 2003. Nutrient-Dense Manifesto, Real Food Campaign, MA, USA. Tim J. LaSalle and Paul Hepperly, Regenerative Organic Farming: A Solution to Global Warming, Rodale Institute, 2008. United Nation, Sustainable Development Innovation Brief, May 2009. 1A research done under Chiangmai Food Safety Plan, Chiangmai Public Health Office, 2008. 2A public lecture by Prof. Dr. Somsak Vorakamin, formal Permanent Secretary of Ministry of Public Health. 3Office of Policy and Strategy, Ministry of Public Health, 2011. 4Nutrient-Dense Manifesto, Real Food Campaign, MA, USA. 5The 2011 Nutrient Guide by Planetary Health/Amberwaves provides a comprehensive list of nutritional composition of foods from around the world, based on data of the U.S. Department of Agriculture, Japan Ministry of Education, Culture, Sports, Science, and Technology, the National Food Institute of Denmark, Food Composition Tables for Foods in the Middle East, and other national and international sources, including data from trade associations and producers. 7Bioavailability is the extent to which a nutrient or medication can be used by the body. 8 Grain, ?Earth Matter: Tracking Climate Crisis from the Ground Up,? Seeding, October 2009. 10 Bio-intensive farming method is an integration of biodynamic and French natural farming principles. 11 John Jeavons, How to Grow More Vegetables, Ecology Action, USA., 2002. 12 Based on Ecology Action?s study in Africa and a confirmation testing by Biospere II in Arizona, USA. 13 Perspectives from Ecology Action, ?Biointensive Agriculture: A Greener Revolution?, 2010. 14 Examples: Life Energy Encyclopedia: Qi, Prana, Spirit, and Other Life Forces around the World by Stefan Stenudd, Chi: Discovering Your Life Energy by Waysun Liao, and Alchemy of Life: Working with the Primal Energies of Life by Llewellyn Vaughan-Lee, and many books by Dr.Masaru Emoto including Message from Water and The Miracle of Water, etc. This entry was posted in บทความ, เกษตรทางเลือก by nawachione. Bookmark the permalink.